Cooking Magazines – Get Cooking! The colorful, short video above (exploding spices set to classical music) just might be the most relaxing thing you do all week. I’m sure I’ve already ‘fessed up to all of you that I have a bit of a magazine fixation. It started when I was a teenager with Tiger Beat, Seventeen, Teen, etc. The obsession has carried right through to today. The magazines have changed but the bliss I experience when stores put out new magazines is the same. One of my favorite magazines is All You. It bills itself as “The magazine that pays for itself” because each issue is PACKED with coupons – and coupons you’ll actually use, at that. Personally, I think it should bill itself as “The magazine that pays for itself… and then some” because, each month, the money the coupons save me total up to a higher price than I paid for the magazine. So, basically, I’m being paid to enjoy fantastic recipes, health and cooking-related articles, crafts, and puzzles that my brain absolutely loves. For example, in the recent issue (January 17, 2014), I used the coupons in the magazine to save over $7.00 on groceries and the magazine cost just $2.99. With all this raving, I guess it’d be a good time to point out that this is not at all a sponsored post or even a review. Basically, I’m just jumping off into the actual post. I just happen to enjoy shining the spotlight on people who are doing things the right way. In the issue I just mentioned, there was an outstanding section called “The Ultimate Guide to Spices.” In case you missed the issue (I’ll forgive you this time, but don’t let it happen again. ), I thought I’d hit on a few of the highlights. The first thing I thought I’d share is a “Mix it Up” recipe the magazine gives for making your own All Purpose Seasoned Salt. It’s extraordinary. Combine in a small glass bottle with a top and use with just about anything. It’s especially good on hamburgers, Boca Burgers, baked potatoes, fries, beans, and chicken. Another favorite part of the article involved the health benefits of popular spices. These health “boosts” are just another reason to add a little more spice to your meals. Lowers risk of colon, rectal, and stomach cancer. Might reduce hardening of the arteries. Might boost metabolism and immunity. Might help prevent stomach ulcers. The article made me think more about spices, spice containers, spice racks, grinders, etc. While I have a pretty good number of small spice jars w/lids, I’m definitely in the market for a great pepper grinder and salt box. Below are a few of the lovelies that have caught my eye on Amazon. Don’t forget to go back to the top and watch the exploding spices. Maybe it’s because it’s a Monday, but I could watch this relaxing little video all day. The recipe above is just one of the gazillion recipes in one of the best cookbooks of all time, Taste of Home Best Loved Recipes . 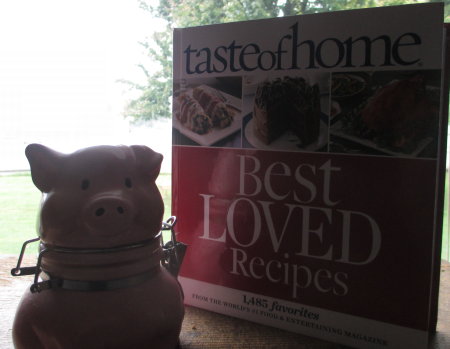 Click the above link to order your copy or click the following link to read my Taste of Home Best Loved Recipes Review. Not only would this cookbook make an EXCELLENT Christmas (or Wedding, birthday, Mother’s Day or Father’s Day…) gift – it’s one you’ll want to add to your own cookbook collection. Whether you’re new to the wonderful world of cooking or have been cooking for more years than you care to count, you can consider this a must have cookbook. 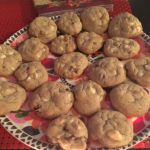 Taste of Home is America’s connection to the personal recipes of people who cook at home as a way to bring family and friends together, particularly at the holidays. Each year, thousands of people from across the United States and Canada submit more than 40,000 recipes, of which 3,000 are published. 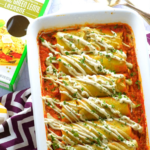 Every recipe that is published is carefully evaluated and selected by the Taste of Home Test Kitchen, which ensures that it can be prepared with affordable, everyday ingredients. Taste of Home content is available in print; online at Tasteofhome.com; in books; via digital download on iPad, mobile apps and Kindle; and Facebook, Twitter and Pinterest. Obtain a subscription at www.TasteofHome.com or on your favorite digital download device. The May 2012 issue of Food Network Magazine is one you’ll want to grab. You can’t miss it – there are three HEAVENLY looking tacos on the front cover that’ll catch your eye right away. 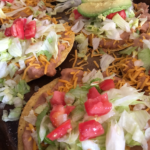 Inside the magazine, in addition to gazillions of recipes, tips, and tools of the trade, there are 50 delicious and creative ways to make/serve a family favorite: Tacos! The first recipe I tried from this issue was a Guacamole recipe from Bobby Flay. It was, as you’d expect, exceptional. Normally, this avocado fanatic just likes her guacamole with avocado and a little lime or lemon – maybe a little salt. Avocados are so amazing it’s really all I want to taste. However… this recipe has won me over to adding different ingredients to compliment the avocado. This particular guacamole recipes is one of the best I’ve ever tried. It’s outstanding. 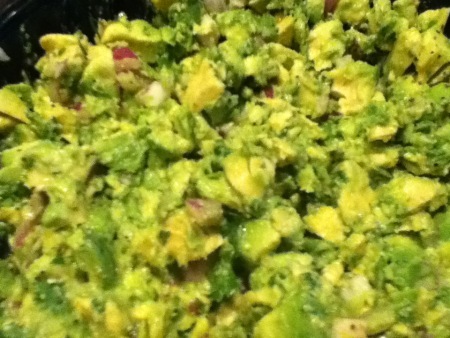 Combine the avocados, red onion, jalapeno, lime juice and cilantro in a bowl and gently mix to a chunky consistency. Season with salt and pepper. Along with this guacamole recipe, there’s a recipe for Bobby Flay’s Cumin Dusted Tortilla Chips. Be sure to grab the magazine and check that out! Tailgating Recipes for the Win! 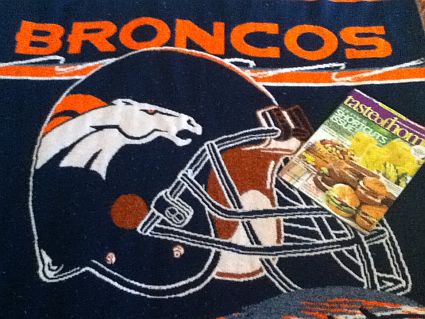 Two of my favorite things in the world: Denver Broncos Football and Taste of Home Magazine. As a college football and basketball fanatic, I’m always excited to see the calendar inch toward fall. As an NFL fanatic, I’m especially excited this year – you never know how much you love something until you think you’re going to lose it. I mean my Denver Broncos may have had a few (few?) disappointing years but where would I be without them?! you have to, have to, have to provide outrageously delicious food… come on, who doesn’t have great food on holidays?! 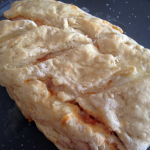 Usually, each August I begin scoring the world for great tailgating and game day recipes. I look high, I look low, I search the far corners of the world. Exhausting. This year, one of my favorite magazines of all time, Taste of Home, is saving me the wear, tear, and mileage. They’ve compiled an outstanding issue filled with recipes that’ll make your game day and tailgate parties the talk of the entire state. They were cool enough to mail me a copy of this wonderful issue so I could see for myself how great it was before recommending it to my readers. They ended up being even cooler than I expected because they sent along a bonus magazine that I’ll tell you about in an upcoming post. For its annual Shortcuts issue, Taste of Home challenged its massive network of home cooks to submit their best recipes featuring just five ingredients. The resulting recipe guide offers cost-conscious and speedy dishes that are test-kitchen-certified to be as delicious as they are streamlined. With imaginative recipes like Caramelized Fennel Tarts, Orange-Pecan Salmon and White Chocolate Brie Cups, readers can bypass the grocery cart, fill only a small shopping basket and have a dinner on the table in no time. The Taste of Home Test Kitchen put food processors to the test to determine which of these time-saving appliances came out on top. Check out this guide to see which processors we fell in love with. We also give you insider tips for getting the most out of your appliance and some processor-friendly recipes such as Over-the-Top Cherry Jam and Thin Crust Pizza Dough. It’s no secret that tailgaters take their food very seriously. But the secrets revealed in this feature story are tried and tested tailgate tips from some undisputed tailgating professionals across the country like Joe Cahn, the official “Commissioner of Tailgating,” who has been on the road for 15 years perfecting his craft. A tailgate menu guide with recipes like Fired-Up Polenta Shrimp Rounds, Steak Teriyaki Quesadillas, Mini Pear Crisps and Baja Chicken & Slaw Sliders will have you second-guessing the typical tailgate fare of hot dogs and chips. Taste of Home’s “RoadFood” columnists, Jane and Michael Stern, traversed the country in search of delicious “kitchen sink” creations celebrated by America’s cooks and restaurants. Taste of Home readers provided their own recipes for hearty, rustic and boldly flavorful one-pot dishes like Southwest Frito Pie and Fresh and Spicy Cioppino. Join third-generation chef and Food Revolution leader Jamie Oliver as he sits “Across the Table” to answer questions about his must-have kitchen gadget (his speed peeler), his favorite meat dish (a pork shoulder roast), his sweet tooth solution (organic dark chocolate), his advice on healthy eating and getting kids started in the kitchen and more. Sip, Splash, Nosh – Don’t miss the fabulous summer drink and snack recommendations (p.29), perfect for making the most of the remaining days by the poolside. Sunday Dinner – Take a cue from Italian traditions and invite extended family members to Sunday night dinner (p.32). With amazing recipes like Roasted Pepper Salad with Balsamic Vinaigrette, Family-Favorite Pasta Sauce, Three-Cheese Garlic Bread and Marvelous Cannoli Cake, you won’t have to do much convincing to bring a crowd together. Homegrown Chefs – Hear the extraordinary stories of young chefs who got started in the kitchen early and haven’t looked back (p.46). Kids like Tom Reynolds set aside video games and started cooking and baking, much to the surprise and delight of their parents. Check out Tom’s recipe for incredible Spanish Beef Hash. Even if you aren’t into football, college basketball, game days, or tailgating (I’ve heard of people like that), you’ll FLIP over the great recipes in the August/September issue of Taste of Home. 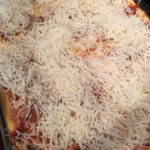 For example, there’s a recipe for Four-Cheese Baked Ziti that I can’t wait to try. They have it paired with a great looking salad with Buttermilk Dressing. Combine 3/4 cup buttermilk, 2 cups 2 percent cottage cheese, and 1 envelope ranch salad dressing mix in a blender; cover and process until smooth. Refrigerate until serving. Yield: 2 3/4 cups. The rest of the recipes? They’ll just have to wait until next month. Maybe. There’s also a cool section on making and taking deli-quality sandwiches and wraps in your lunch box. These honestly look more delicious than any deli or fast food sandwiches could ever hope to look. The Hummus & Veggie Wrap Up has my name all over it and the Bistro Beef Sandwich would make my husband weak in the knees. Taste of Home Issues are more than just excellent recipes, though -which is one of the reasons I’ve always loved the magazine so much. They’re about community – a community of like-minded individuals who are determined to keep the joy of cooking alive and well. They’re also about family – very, very much about family! 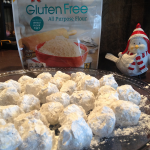 You’ll always find outstanding recipes and tips for bringing your family together, while creating memories that each person will hang onto forever. You’ll frequently find health and nutrition news as well as product reviews, contests, and just general fun. In this particular issue, for example, their “Health Briefs” include the newest findings on Soy, and a quick & simple five step (“High Five”) plan to prevent childhood obesity and keep your kids healthy and fit. Grab the August/September issue of Taste of Home today!